♦Flexible shapes, can use different applications, combine to LED lighting, portable solar power system, solar boat, solar yacht, solar golf car etc. ♦Customisation size is accepted, depends on size to change different power. solve the problem such as monocrystalline silicon organic encapsulation technology and bonding strength to make the product serivce lifetime up 15-20 years. Pressed by concave and convex structure to avoid the problem of structure mirror, can more fully absorb sunlight, improve the capacity, enhanced the surface in the process of laminating adhesive strength, avoid bubbles, between EVA and avoid fold, suppresion of concave and convex point after the angle of the solar panels can be wider scope for installation, avoid the error caused by the installation angle reflection loss. solving the combination problem of solar cells and fabric, the weight of our flexible solar panel is only one fifth compared to the same weight watt traditional glass solar panel. Solar energy bus is one of successful case for our flexible solar panels, high efficiency 25% better to convert energy to battery. 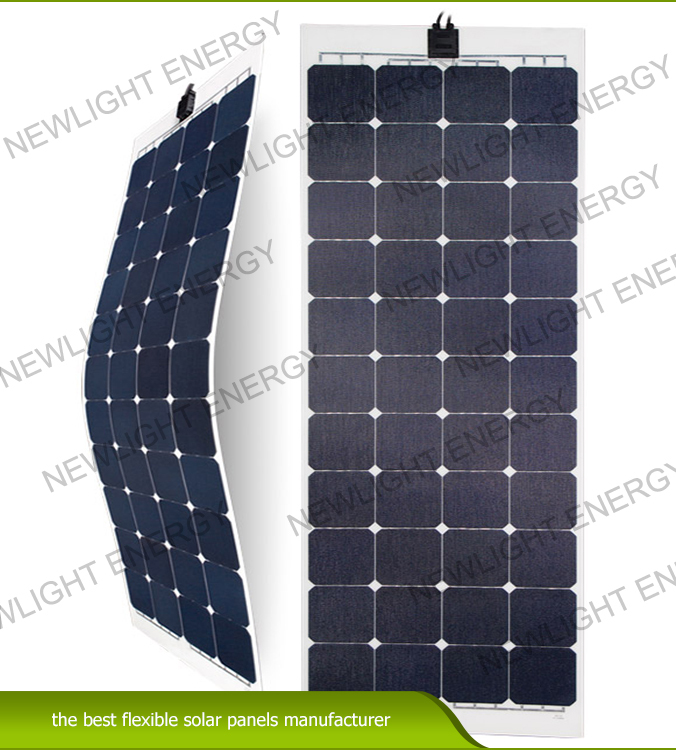 flexible solar panel huge market for marine application because yacht limited roof to install solar panel, and another key important is lightweight and easy to install, if glass solar panel is heavy and rigid, easy to break. we have made more than 10pcs 10kw solar boats for marine, boat can sail only backup by flexible solar panel energy. 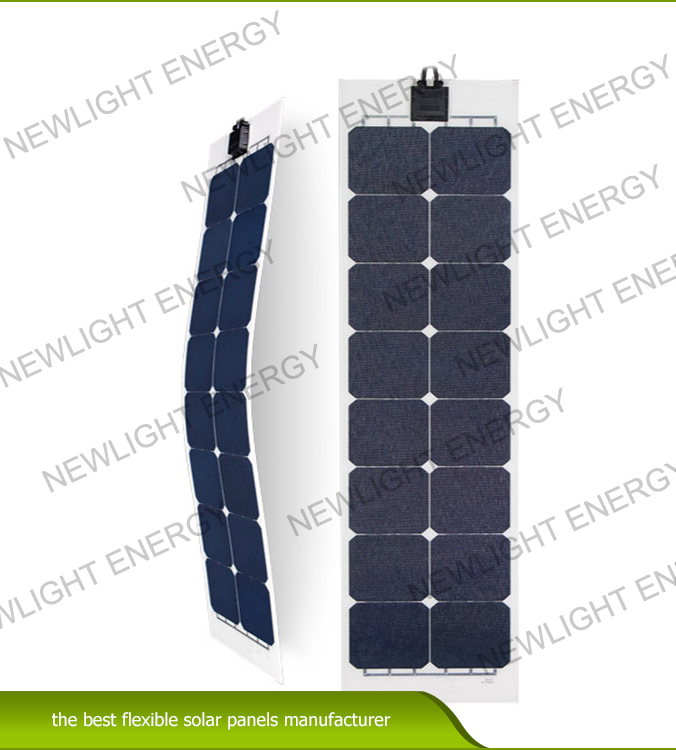 Flexible solar panel no glass, lightweight, durable, easy to transport and install, the great choice for RV, Caravan,Marine, sailboat, houseboat,trawler,ships,LED lighting, Camping, Chargers. junction box of flexible solar panel, the position is free to change, somewhere area if not good structure to drill holes due to back junction box, can choose front side. MC4 junction box also has different style, square shape as below picture or slender juction box to be optional. normally the angle of flexible solar panel less than 30 degree to avoid solar cells inside no broken. 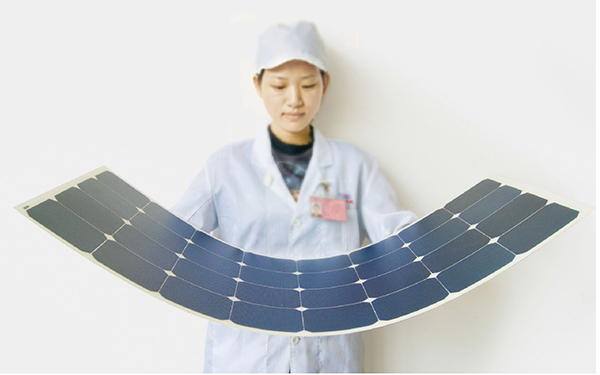 Electrical characteristic of flexible solar panel is very important, each solar panel is under checking by our engineers.